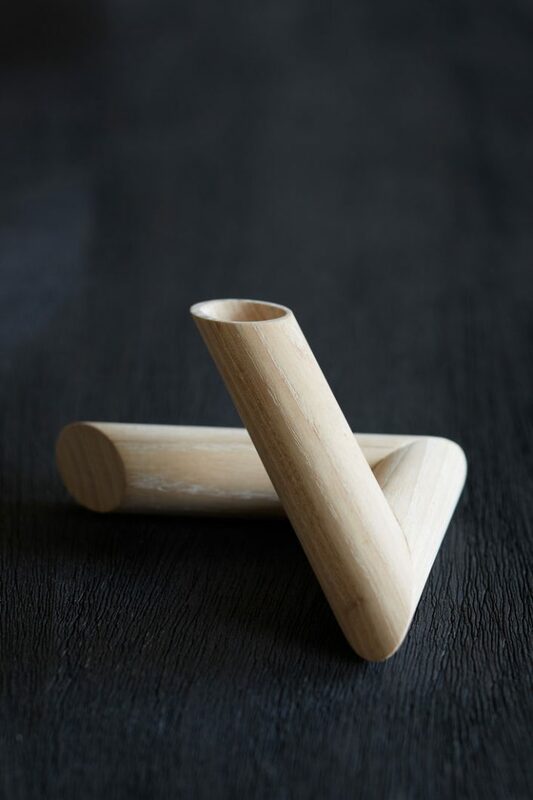 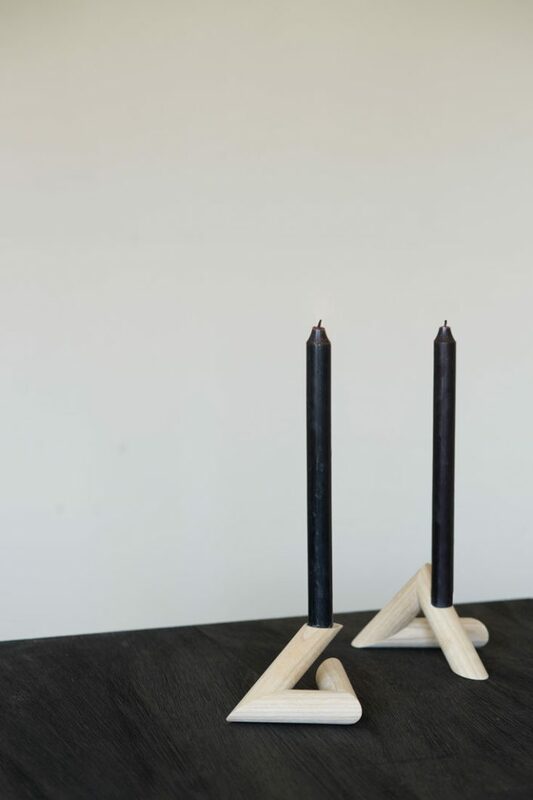 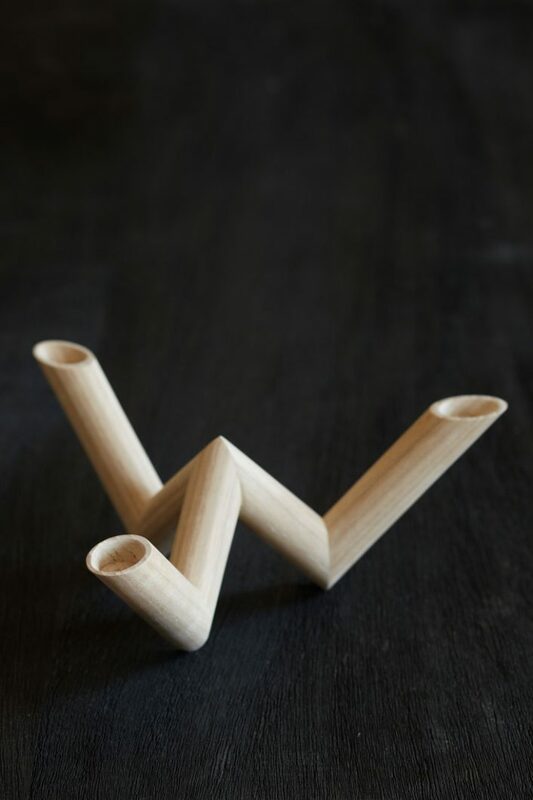 Series 45 is a collection of three candlesticks made of ashwood. 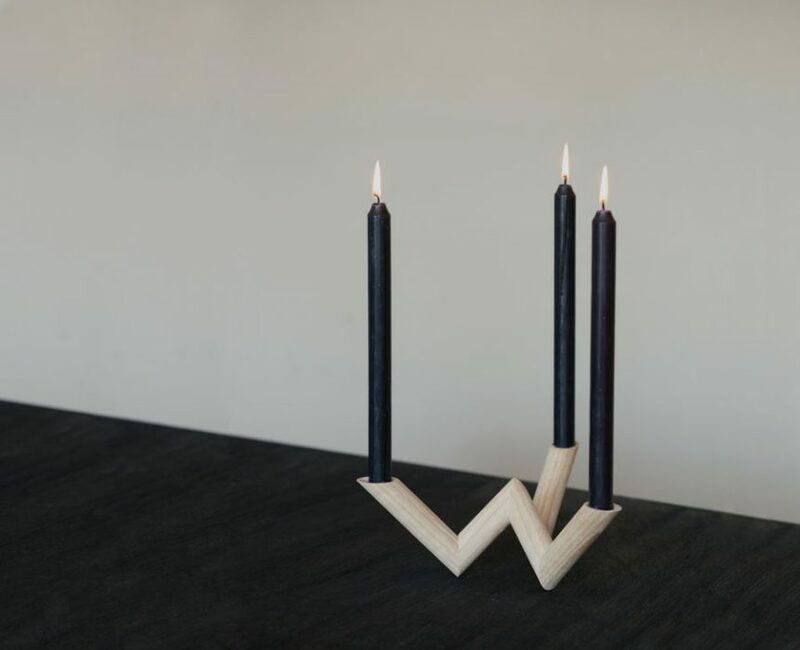 The striking precision of cut of the angles, aside from insuring that the candlesticks can never tip over, is the language of form. 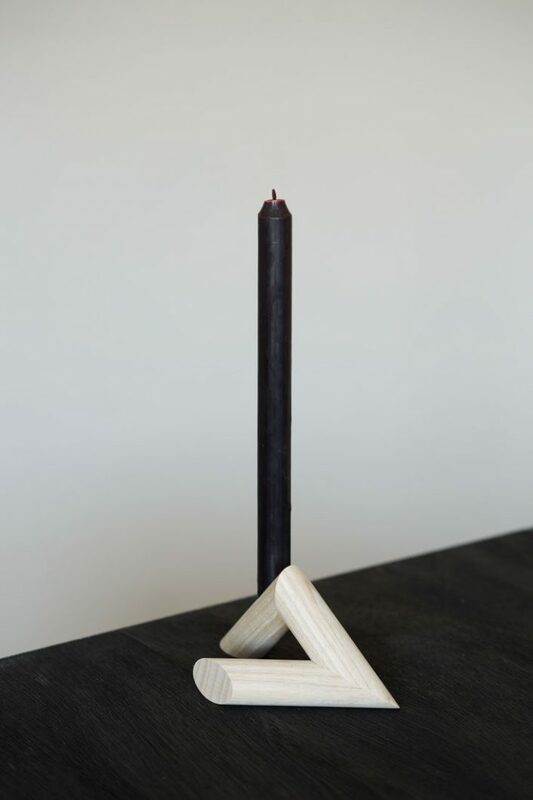 With or without candles, they are sculptures on the table.